4 ALL SEASONS - Pro Cut Ground Maintenance, SnowLogic, Stonecraft Landscape Construction, Lawn Medic's, Caledon, Woodbridge, Toronto, Ontario. With a goal of providing superior service and quality workmanship Marco Scida started his career with a simple philosophy - one step at a time - from the ground up. It was very important that he become highly knowledgeable and trained in all areas and aspects of landscaping, from simple grass cutting and daily maintenance through to intricate landscape design and construction. 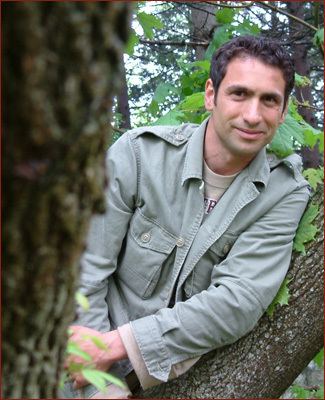 Further, as a graduate of the University of Guelph horticultural program and fully licensed for pesticide use, Marco has established a solid educational background that has become the foundation of his success. Now with 19 years of experience Marco proudly boasts a portfolio and reputation that is second to none - with a number of successful projects for a wide range of clients, from executive residential estates to large scale commercial properties. Recognized in lifestyle magazines and television programs for his creative, unique and breathtaking outdoor environments, most recently featured on HGTV, Marco makes it his practice to participate in every project from planning to execution ensuring that his vision and attention to detail are evident in all his projects. Each and every one of his projects are focused on the client and designing a landscape that is not only beautiful but functional - specifically tailored to the lifestyle of the client, making each project and design as unique as the homeowner. Backed by his group of company's Marco is continuously committed to providing all of his clients with an unprecedented level of service - taking what people see as a simple lawn and converting it to an outdoor oasis. Copyright � 2010 4 All Seasons. All rights reserved.